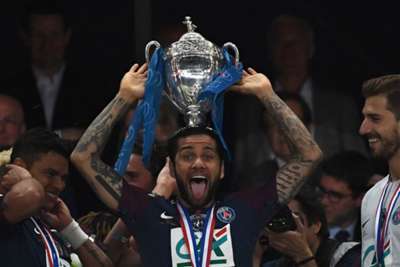 Paris Saint-Germain will start their Coupe de France defence with a trip to fifth-tier Pontivy in the round of 64. PSG have won the tournament in each of the past four seasons and will travel to National 3 side Pontivy on either January 5 or 6 after Monday's draw. The Ligue 1 giants faced third-tier opposition in last season's final when they eased to a 2-0 defeat of Les Herbiers, who then suffered relegation from the Championnat National just three days later. Thierry Henry's Monaco head to Canet Roussillon, while Patrick Vieira's Nice travel to fellow Ligue 1 side Toulouse in two of the other notable ties.